J. and I have started the two-week Maffetone test. At least I did. She was on a retreat. Something about converting negativity into wellness. A little bike ride will do that for me. I spent the morning busting clutter and making food for the week. But my prep is a TOTAL FAIL since I have two boy-children who eat. Saying they eat is redundant. As in, unnecessary. I bought 30 eggs yesterday. I hard-boiled 15 over the last two days. They’re nearly gone. Another four went into fruit smoothies with an avocado. Another two into pancakes (don’t nag me about what I feed my children). Another six went into the omelet I made. And two went on top of the dog kibble. (Don’t nag about the dog either). The boys ate the peppers and cucumbers I bought yesterday. So I bought more. My friend Riot Act is paleo-challenge prepared. Cheer her on. But don’t tell her I sent you. She does not want your pity. And doesn’t need any support. So there. Skip the rest – It’s boring public accountability. And no, I didn’t photograph all of it. Just the salad. Breakfast: omelet with leftover veg from last night (carrots, cauliflower & broccoli) pureed and sauteed in some butter with some chopped onions. 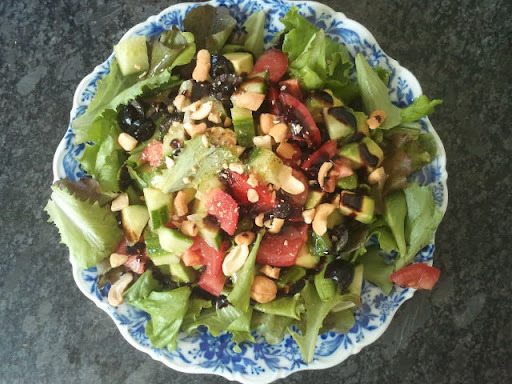 Lunch: big salad with avocado, cashews, chopped tomatoes, cucumber. Some olive oil and balsamic vinegar. (see above). Some deviled eggs with sardines (recipe on this blog). Some boiled shrimp and gazpacho soup. Dinner: tomato sauce, shredded zucchini and some carrots and onions, black olives, pressure cooked with one of the turkey thigh bones that still had a lot of meat on it. I didn’t tell the kids that I hid the vegetables in the sauce. Training: 80 minute ride in the Dunes. I blew off the 4-hour brick that the plan called for. Didn’t feel like it. Plus I remembered at 16h that we were out of milk and that the store would close at 18h. Dumb laws. Cheat: about 200 ml milk in espresso (morning and afternoon). I woke feeling like I had been run down by a lorry (that’s a truck, I think). I am not going to weigh myself or count calories for two weeks. 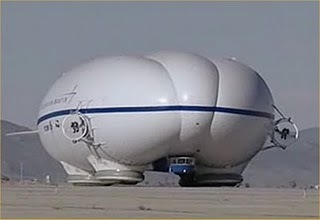 Which means I will be a blimp by next week. To guard against this eventuality, I will ask myself before eating, am I hungry? What am I hungry for? (Screw the dangling preposition). Posted in Uncategorized and tagged challenge, Maffetone. Bookmark the permalink. Dr Maffetone says he was surprised by the effectiveness of the Two-Week Test because it jump-started people’s metabolism, shifted body-chemistry into “fat-burning” mode and significantly improved aerobic function and overall endurance. I want to jump-start myself! Realising I was woefully unprepared to implement anything in the middle of the work-week, J. kindly outlined the essentials for me. J. and I decided to start on Sunday, to give me time to food-shop and her time to finish some delicious goat cheese. The irony is of course the more research I do the more agreement I find amongst authors whose reasoning I trust. It could be that I trust very few and only those who agree with me. But I don’t care. I’m right and I know it. Q.E.D. No calorie counting; eat small meals when hungry. All [unprocessed] meats, poultry, fish, eggs. raw milk cheese, heavy cream and full milk yoghurt (unsweetened). All vegetables (cooked or raw) except potatoes and corn. All vegetable juices, including carrot and tomato. All good fats: butter, coconut, walnut oil, flaxseed oil, olive oil. All condiments in moderation as long as they are not sweetened and have no soya added. (salt, pepper, mustard, vinegar etc). Tea and coffee (if you normally drink them). Sea salt, unless you’re sensitive to sodium. Sugar, honey or artificial sweeteners. J. explained to me that soya in any form can cause problems for post menopausal women because of its high estrogen content. This makes you gain weight around the middle. So avoid the following which are ways of hiding soya: E471, E472 (Both of these are now commonly added to cream and other foods), generic vegetable oil, vegetable protein, flavour enhancers, soya lecithin, plant lecithin and MSG. Dr. Maffetone adds a note on alcohol – if you normally drink a small to moderate amount, some forms are allowed on the test: dry wines and pure distilled spirits mixed with plain carbonated water. No sweet wines, beer, champagne, or alcohol containing sugar (such as rum). When in doubt, leave it out. Dr. Maffetone says NO CHEATING. The test restricts moderate- and high-glycemic foods, not calories or fat. He also states that you should make sure you do not go hungry during the test. Some people also experience carb-cravings the first few days. If you cheat, the test is not valid and you have to start the two-week period again. 1/2 of a small beet (beetroot) with leaves if possible. half a lemon or a handful of spinach or a handful of dandelion leaves (rocket substitutes well). Add some nuts to the above and you have a perfect recovery or workout fuel. Unfortunately, I don’t have a juicer any more. I might be able to find some raw carrot juice, however. J. did some more research about why Dr Maffetone was thumbs-down on fruit juice. The most common Carbohydrate Intolerances are to Glucose, Fructose and Maltose. These are commonly found in fruit, fruit juice, honey, artificial sweeteners and cereals. Vegetables are normally higher in Sucrose, so vegetable juice circumvents the problem. Carrot juice is just as high in carbs as many fruit juices, and is available in most supermarkets or health food stores in case you don’t have time to make your own. J says she likes simple carrot and ginger. Me too. So, we’re starting this on Sunday, which will take us to the end of our 45-day challenge. So far, my compliance and progress has been negligible and I’m in the mood to improve. The hay-fever is responding to medication. And my attitude seems to be improving. You’ll be the judge of that, however! Today’s eats: Coffee with a very little milk; ham slices with strawberry; eggs, bacon, lettuce and tomato; coffee; pork chop, snap peas, lettuce, a pear; hard boiled egg; Atkins bar. Water. Training: Evening Tempo Bike ride planned. Deferred a trip to the gym until tomorrow since my legs are still sore from Tuesday’s workouts. Training tip: It’s okay to rest. In fact, you MUST rest. That’s when progress happens. Even if you have a training session planned, if your body is saying Not Yet, it’s okay to give yourself recovery time that you need. Rest and Recovery is different than skipping, however, because you think you “too tired, too busy, too focused or preoccupied, too worried” on something else “more important”. You’ll know the difference. If you’re in doubt, get 10 minutes into your training session and then decide if it’s too much. I also realised it’s okay to start exercising even when I’m a little hungry. That feeling goes away, and the training goes just fine. For me, being a little hungry or bumping up to the lunch hour is no excuse. I tell myself, The Decision Has Already Been Made. Posted in Uncategorized and tagged endurance athlete, Maffetone. Bookmark the permalink.